If you’re a fan of the Yeti Insulated Tumblers, you will want to check out this deal at Walmart. 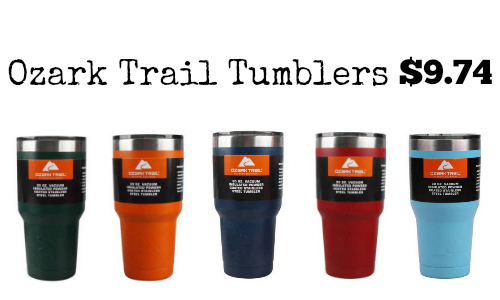 You can get the Ozark Trail 30 oz Double-Wall, Vacuum-Sealed Tumbler for $9.74 in several different colors. This same cup has been compared to the Yeti cup, and it appears the only difference is the name. Right now, this size is back in stock but probably not for long so go ahead and grab it while you can.